Even the Federal Emergency Management Agency (FEMA) sees the benefits of mobile home housing. These homes are affordable and not much different than stick-built homes. They may also be relocated or sold to be relocated after the disaster victims move out. That’s why they’re great for disaster relief help. Today we’re going to look at situations in the news where mobile homes provide people with shelter. In the wake of a disaster, you’ll see how a mobile home is helping others find stability. It’s no wonder that entities such as FEMA choose mobile homes in their disaster relief programs. After helping disaster victims get back on their feet, the mobile home can be sold and moved to another location. Mobile homes certainly come with many perks. In Gridley, California, evacuees from Camp Fire are in need of refuge. The city of Gridley is working with FEMA in an effort to set up mobile home units for evacuees. The units will be placed in an area called Independence Place. The goal is to place 405 units for the Camp Fire victims. Currently known as not only the deadliest but most destructive wildfire in the history of California, Camp Fire originates on Camp Creek Road. 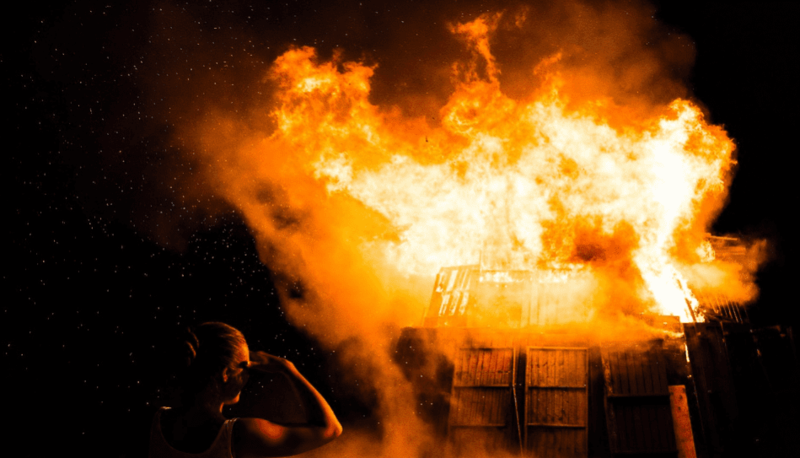 About 85 civilians perished due to the fire. The fire spanned 153,336 acres, destroying 18,804 structures. These FEMA mobile homes will provide hundreds of families and individuals with a place to call home as they get their lives back on track after the loss of their belongings and home. In West Virginia, families displaced by flooding are receiving mobile homes. These homes will replace their homes, now damaged by the flood that took place in 2016. While it’s true that these families should have received housing much sooner (it was 2018 when one such family was gifted their new home), there was confusion with the program established to help these victims. The Commerce Department was slow to spend the federal flood aid money, causing FEMA to raise concern. There are more families waiting to receive their replacement dwelling, but the point is that these mobile homes are coming to aid people who’ve suffered the loss of their abode. The governor of West Virginia pulled the RISE West Virginia program out of the Commerce Department, asking the state’s National Guard to oversee it. We hope this will expedite the process of assigning homes to disaster victims. In Kinston, North Carolina, FEMA set trailers up in the Global Transpark. The TransPark is parking for the mobile homes and trailers that will be loaned out to families who are in need of a place to live while sorting out their damaged homes. These families were affected by Hurricane Florence winds and flooding. By loaning out these homes to hurricane disaster victims, it is hoped that families will be able to continue living in their community as they fix up their homes. In one case, a home was delivered to a couple that was living on the second floor of their home. Due to the hurricane disaster, they had no power or water. The FEMA trailer proved to be a huge relief to the couple, providing them with running water and a cool living space. Many other hurricane victims are being helped through temporary mobile home housing. Every trailer and home comes with basic items such as coffee pots and bedding — things that were likely lost in the flooding. After about six months to a year, FEMA will then auction off the homes. It’s clear that mobile homes have their place in disaster relief. They’re affordable and can be set up as temporary housing then sold off to a permanent homeowner. As seen above, some FEMA programs choose to set the homes up next to a dwelling that is being repaired. Other programs create FEMA mobile home parks to offer temporary housing. 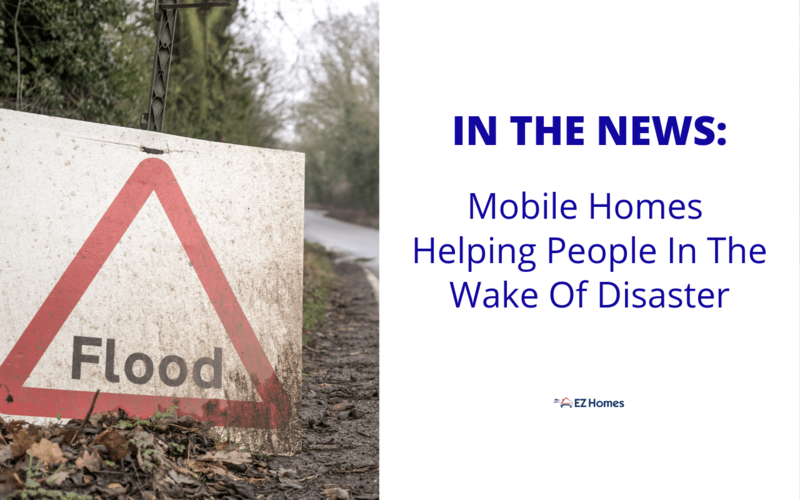 If you enjoyed this article, you may be interested in reading how mobile home owners are making a difference in their communities.